I like to believe that we all have our weird parenting things that we do. Some of us are super schedulers, some of have weird cooking or food habits, some of us are very particular about how we dress our kids, and some of us take way to many pictures of our kids sleeping in crazy positions. Oh, that last one is just me? My boys are marathon sleepers. They can sleep anytime, anywhere, and they can do it twisted up like pretzels. The first thing I think when I see them in a random sleep position is “ohh… how cute,” followed immediately by “where’s the camera.” My husband thinks it’s strange, but I can’t seem stop. I need embarrassing pictures for when the boys grow up and start to date. And I think that the boys will both be relieved if I’m showing their girlfriends silly sleeping pictures because it will take me longer to get around to the bathtub pictures, the potty training pictures, and the pictures of a certain someone (ahem..Logan) playing the guitar in his undies. 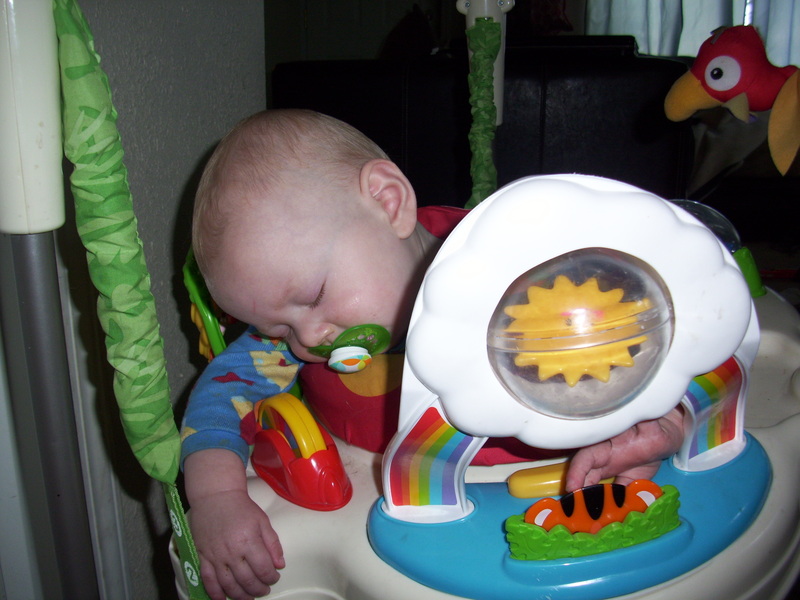 So without further ado, here are some (by no means all) pictures of my kids sleeping. This is Logan passed out at the dinner table. 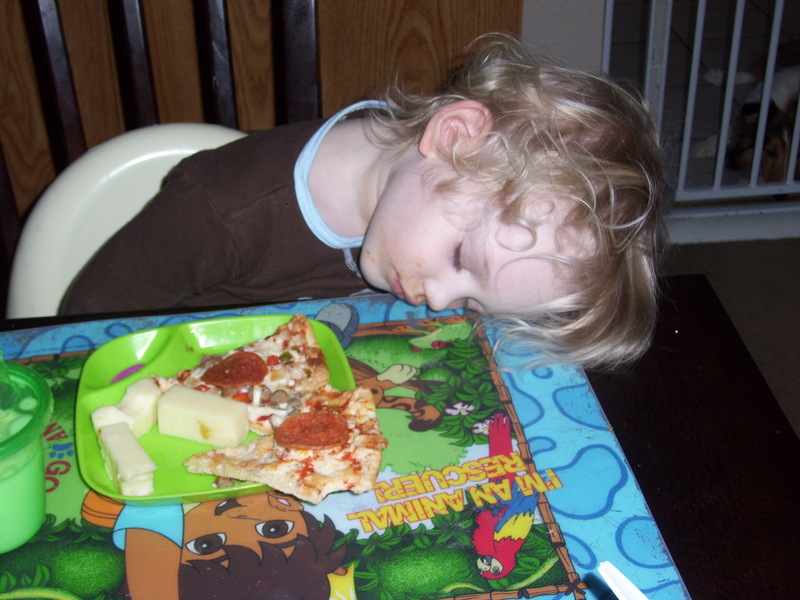 You know how tired he is because that is pizza that he has only taken one bite of before conking out. 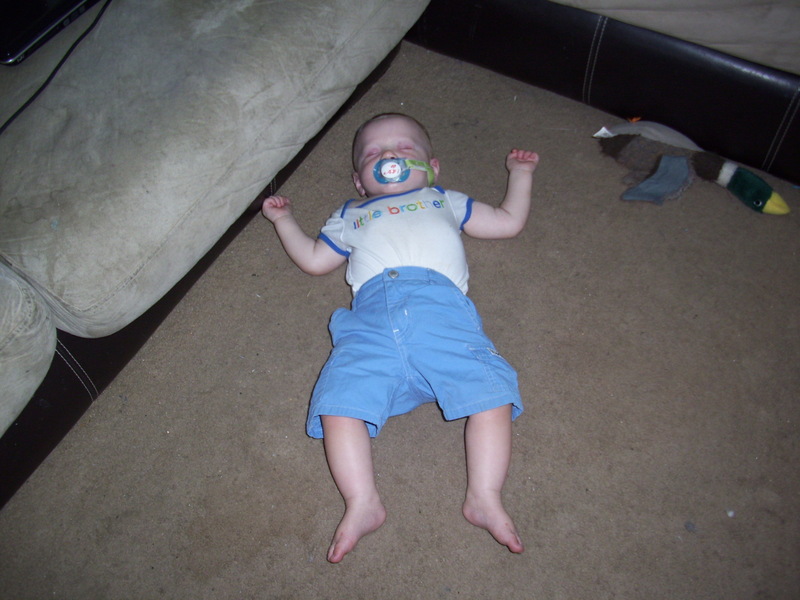 Here we have Liam who rolled over and passed out mid-stride while he was crawling. I can’t count how many times I’ve wanted to do that at the grocery store; just decide that all that effort was too much, lay down, and take a little snooze wherever I please. 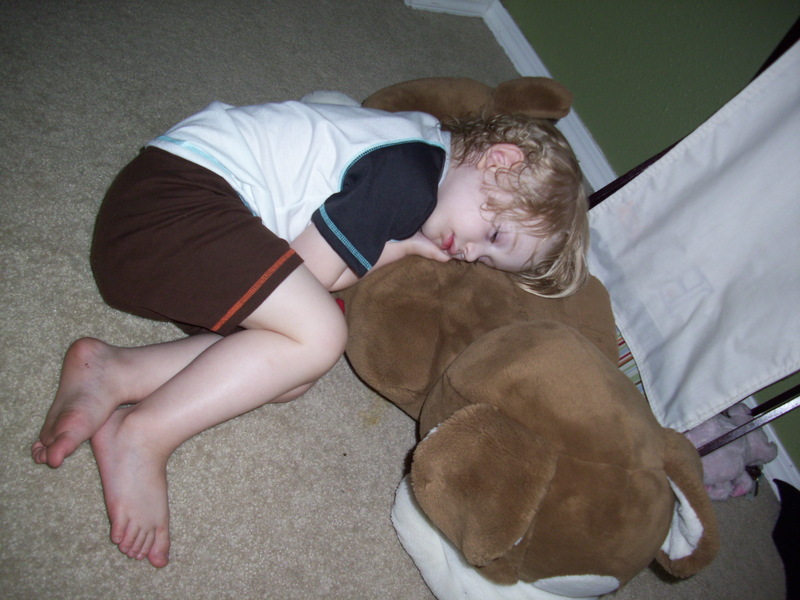 Here we have Logan, peacefully asleep with his stuffed dog Bruce. As it may be clear Logan LOVES Bruce. 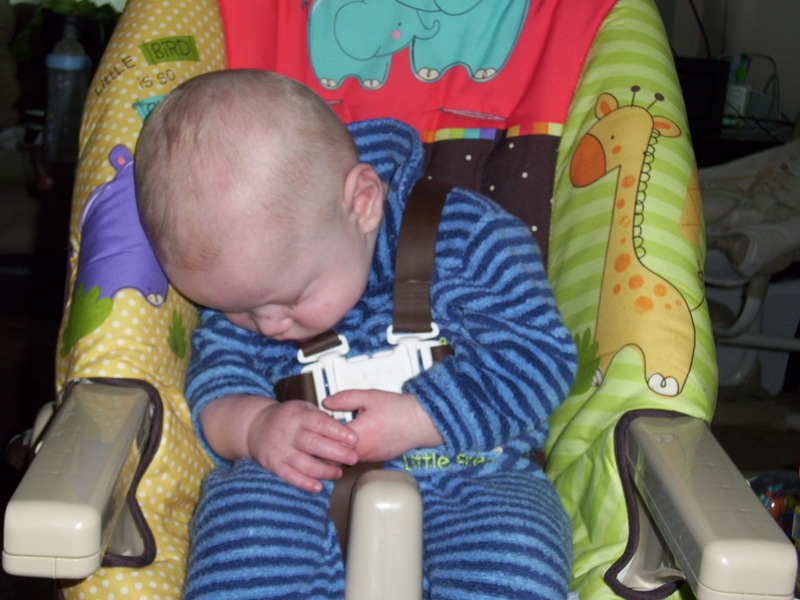 This is Leelee asleep in his high chair. This alone is not super impressive until you find out that at this very moment, the toddler was screaming, the dog was barking, and my husband was playing his guitar a couple of feet away. 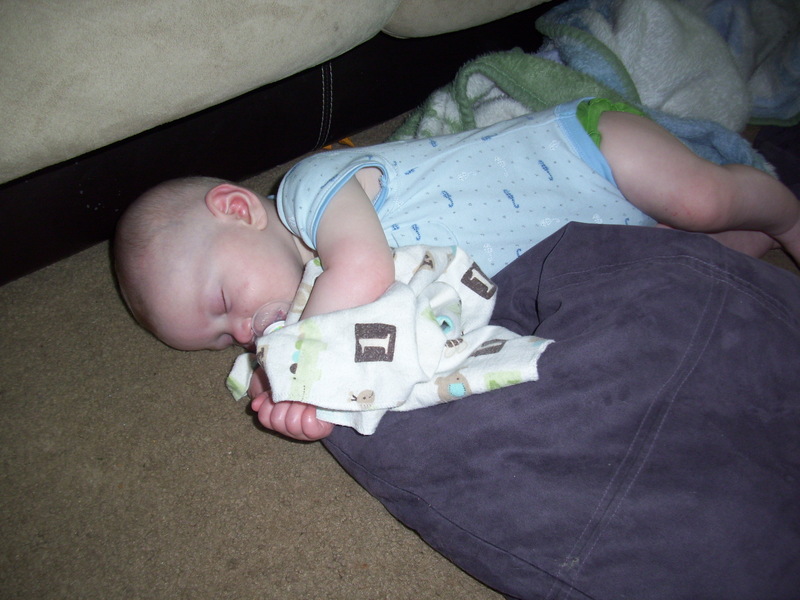 This is Logan as a baby, right after he jumped himself to sleep. Yep, I left him there for about 45 minutes until he woke up. Doesn’t he look comfy? 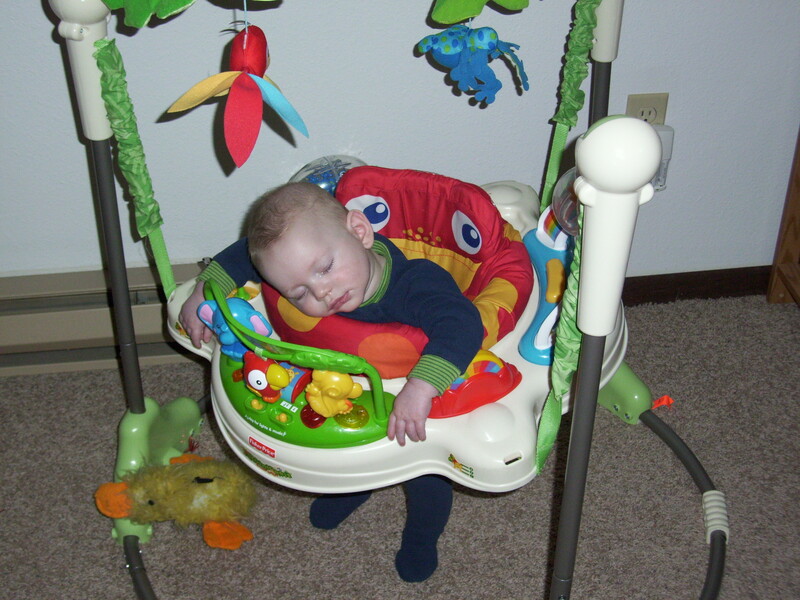 And this is Liam, asleep in his jumper. I know it’s the same jumper, but I swear it’s a different kid. If you don’t believe me, note how bald Liam is compared to the previous picture of his brother. Seriously, do they make baby Rogaine? We were getting ready to go camping for the weekend, and Liam decided he ought to rest up. And I saved the best for last. 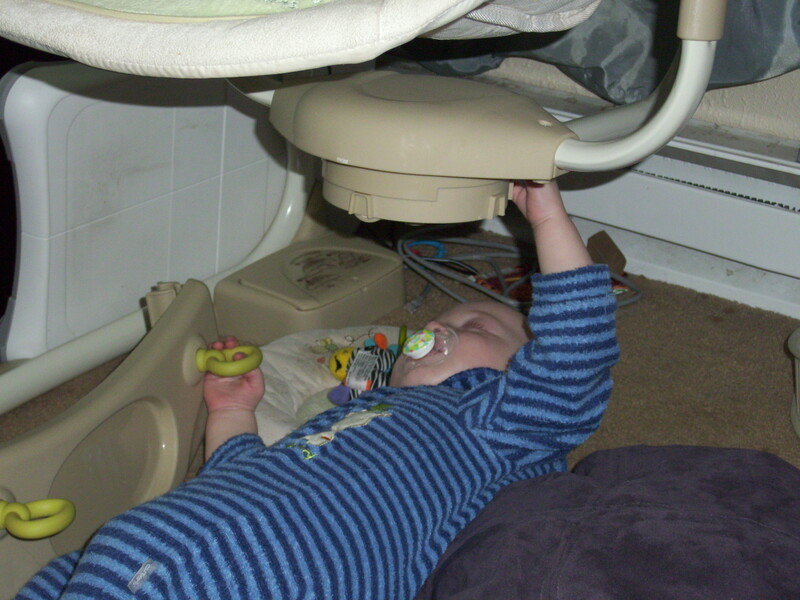 Not only is Liam sleeping under the swing instead of in it, he’s also holding onto the support bar under the swing with one hand, and holding onto the tray with the other hand, while fast asleep. This is by no means a comprehensive collection of all of the crazy pictures that I have of my kids sleeping, but it is a sampling of some of my personal favorites. Makes you want to crawl up on top of your dresser and take a nap, doesn’t it?